Burger King has had some interesting menu items lately. First we have Chicken Fries. Then we have Chicken Burgers. 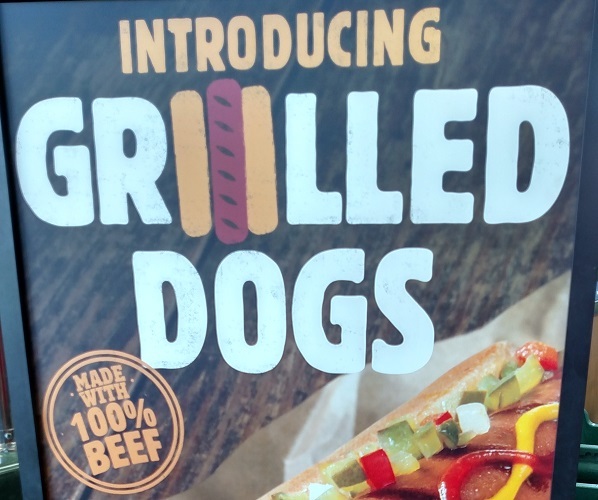 Now, BK is introducing Grilled Dogs! Yes, hot dogs at BK! Isn’t this place called Burger King??? 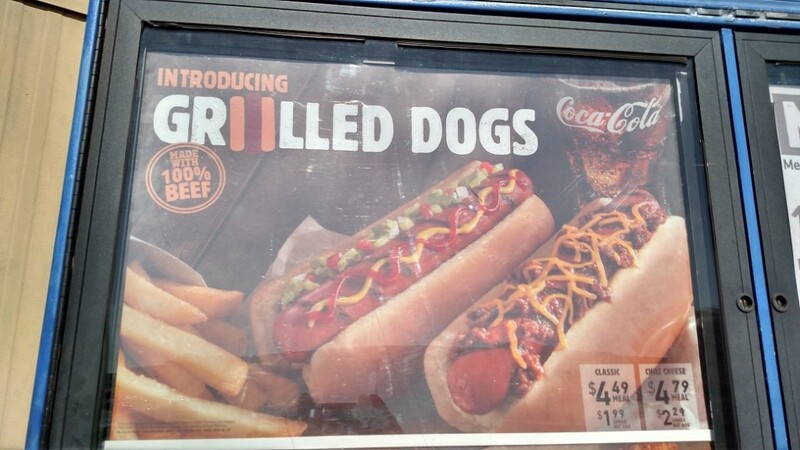 Burger King is going to have two types of dogs offered. The Classic Grilled Dog with ketchup, mustard, onions, and relish. The Chili Cheese Grilled Dog is the other offering. 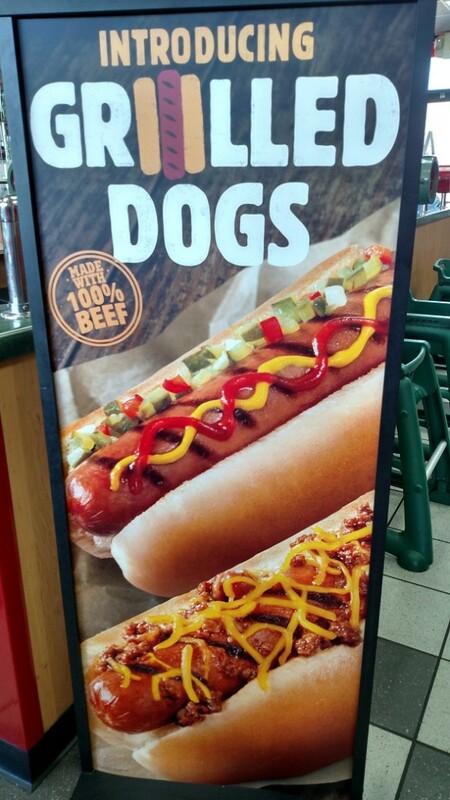 The hot dogs are 100% beef. The dogs are being added to Burger King’s permanent menu. They roll out nationwide on Tuesday, February 23rd. This is pretty big, people. BK says in the press release that the introduction of these suckers is one of BK’s “…biggest launches in recent history.” There is even a countdown to the launch going on Burger King’s website. We decided to investigate a little, since we are detectives. We also noticed driving up that there was a sign on the drive thru about the dogs. It looked like the price may be on there. We put on our Sherlock Holmes hats, fired up a pipe, and snuck around the building to the drive thru menu board. It’s hard to take pictures in the car, you see. You can see the prices in the pictures. We really thought we made a discovery here, being detectives and all. 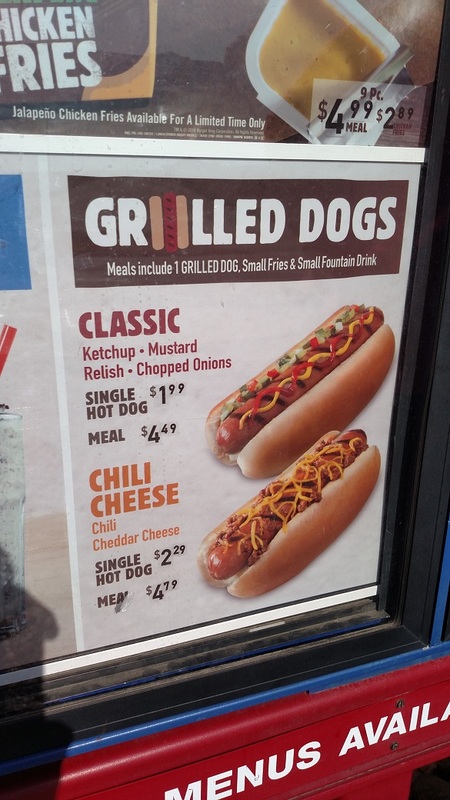 Then, when we got back, we discovered that the prices are in the press release (although the chili cheese dog and combo is ten cents cheaper in our area). We never said we were good detectives! We are certainly eager to try these. These dogs are either going to be REALLY good, and blow Burger King up into relevance again. Or, these are going to be terrible. We doubt there will be an in-between. We will have a full review for you on Tuesday. Get ready, Snobs!